The omission of aging as a legal cause of death and the largely unrecognized contribution the aging process plays in mortality is scrutinized. Copyright 2003 International Longevity Center-USA, Ltd. All rights reserved. 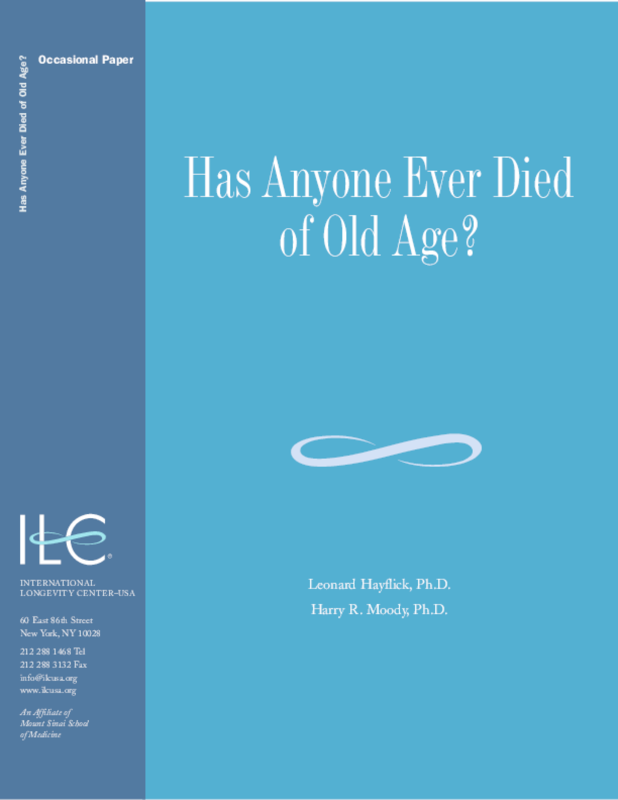 Title: Has Anyone Ever Died of Old Age?